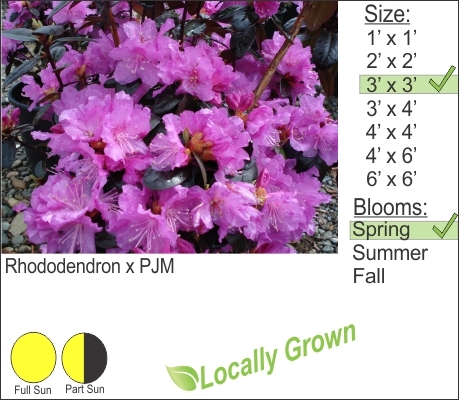 PJM is a very hardy variety of Rhododendron. Growing well in New England and the upper Midwest Purple flowering PJMs are well suited for the Hudson Valley. This plant works well in sun or part shade.